Is there a pattern? One can compare the bearded to the non-bearded male writers. And as of this moment, I haven't been able to identify a pattern -- the result of the experiment (conducted with the help of images.google.com) is negative. But it's not entirely hopeless; I solicit your help. Charles Dickens had a beard, but William Makepeace Thackeray and Henry James did not. 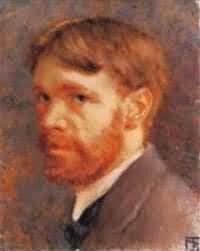 D.H. Lawrence had a beard, but Joyce, Proust, and T.S. Eliot did not. I have trouble finding French writers with beards -- even Honore de Balzac, who seems like he almost requires a beard -- didn't have one (though he did have a bushy mustache). But then, Robbe-Grillet has a beard, so throw that out. 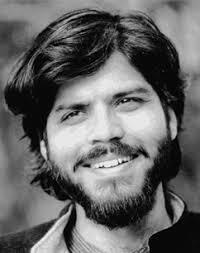 Very few Arab writers have beards (one can certainly speculate as to why; clean-shaven suggests "secular"). But the very secular Tahar Ben Jalloun has a beard, though it is closely cropped -- you wouldn't confuse it with the beards worn by devout Muslim men. I thought maybe gay men would tend to be less likely to have beards. And indeed, Marcel Proust, Henry James, Roland Barthes, and Jean Genet don't have beards. 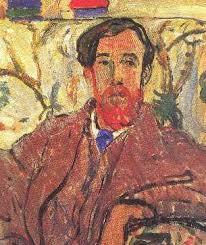 But Strachey has quite a beard! So that rule doesn't quite work. 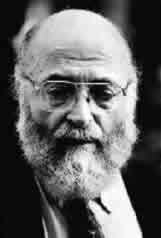 Maybe experimental, avant-gardist writers don't have beards? No beard on Borges, Kafka, or Joyce. But Coetzee has one, so scratch that too. With the African writers, I think it's somehow fitting that Soyinka has a beard, but Achebe doesn't. I also think Dickens (yes) vs. Thackeray (no) makes sense, in terms of the way they write. But with the others... ? 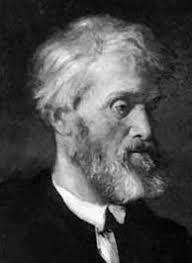 There does seem to be a correlation between writers who pose themselves as self-consciously "serious" or "philosophical" and beardedness. But it's only a rough correlation, hardly a rule. Finally, some of you may have noticed that this completely useless exercise obviously only includes writers who are men! I'm curious to know whether women writers could also be categorized with some superficial aspect of their appearance? I don't think so -- beards have a kind of historical constancy to them since the 19th century: they are sort of always a little out of fashion, but suitable for writers and philosophers. Whereas women's dress and hair have changed quite radically during the same era. Perhaps: women writers who keep their hair pulled back vs. those who have their hair down? Short vs. long hair? I see you hae been splitting hairs!! Of French writers, Verlaine also had a beard, and I think J.-K. Husymans had at least a goatee at one point, as did Zola, the Goncourt brothers probably, and certainly several other fin-de-siecle Naturalists and Decadents. Of the Russians, not only Dostoevsky and Chekhov but also Tolstoy, Turgenev, and the Decadent/Symbolists Briusov and Balmont. Now someone's got to do a study of (beardless) mustaches. Also baldness. And which writers were fat/thin? I hope you aren't mocking people with long beards. What about Alice B. Toklas - I think she was really committed to her chin whiskers. I think if you open up the category to chin whiskers (unplucked) a lot of women writers will be let in. Thanks for all the comments and corrections, everyone. Torontogirl, I think I should definitely count Alice B. Toklas, even if she didn't wear the pants in her relationship with Gertrude Stein most of the time. And maybe we should also create an honorary place for Frida Kahlo, whose facial hair is the stuff of legend -- and her own self-portraits. And Blunderer: what?!?! Verlaine had a beard? That completely changes my image of him. Clean-shaven faces are for many the sign of modernity--Mayakovsky once called Tatlin's Monument to the 3rd International "the first monument without a beard" (this quote was, horrifyingly enough, an integral part of one question for my doctorate exams). Oddly enough I find beards totally femme; figure that one out. cd we start a list for 20C women writers with long hair? For after Alice BT where are the women in site? Well, beards are supposed to signify virilty. All the male professors of my college anthropology department had notable thickets of hair sprouting off their faces. Despite the winks and gigles of silly undergrads like myself, they never went bare-faced either. Ever. So it makes sense for writers of masculine prose on brawny topics to have beards...Hemmingway comes screamingly to mind. And Thackeray and Henry James, being more concerned with social mores and manneres, would, by this hypothesis, naturally be clean-shaven. I'm sure there will be some spectacular exceptions to this theory though. has anybody done similar analysis for scientists?.. that could be interesting too! The Cortazar picture referenced above has moved to http://www.rightreading.com/cortazar.htm<. Shakespeare should go first, also Lev Tolstoy, Emile Zola, Alexandre Dumas - thelist can be never- ending.